Are you wondering what the Best Facebook Advertising Audience Size is? If so then you are not alone. A lot of people are wondering that the Best Facebook Advertising Audience Size is. 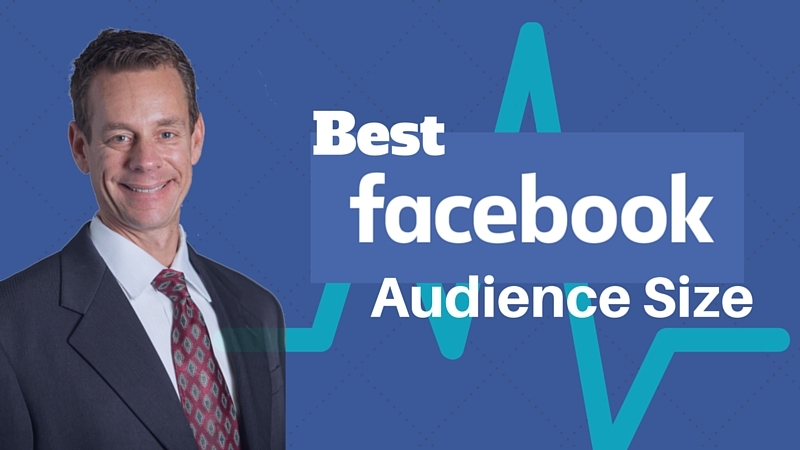 Watch the video above and I will tell you the best Audience size for Facebook ads. But if you are just not in a place where you can watch the video then I have summarized the video below in this blog post. What is the Best Facebook Advertising Audience Size? The best audience size for your Facebook ads campaign is around 500,000 – 1,000,000 people. This seems to be the sweet spot for Facebook. Let me explain why. In general when you target over 1,000,000 on Facebook your audience is broad. You (and Facebook) won’t be able to find the right people who are interested in your offer. Yes if you let Facebook run its magic long enough it will be able to find them. But you will have spent a lot of money and pain on a loosing campaign. So if you audience is over 1,000,000 try adding in some interests to get it smaller. What if you audience is too small? This is the more common problem. I see it mostly with local businesses. So what should you so if you have local business and there are only 75,000 people in your city or town? Let’s say you want Facebook to optimize for website clicks. With an audience of 500,000 Facebook knows people who like to click on ads. So it shows your ads to those people. You get lots of clicks. But Facebook also does not show your ad to people who do not click on ads. When your audience drops below the 500,000 mark you start to force Facebook into showing your ads to people who are not an ideal fit. These would be people who match all your criteria but do not click on ads or sign up for offers. What happens? Your campaign just does not preform as well. Not much you can do about it either. So if you are local business and only have 75,000 people in your town just know your audience is already too small. Leave it where it is and do not filter down anymore. In most cases just limiting it to your local town is enough filtering. The good news? You can reach your entire town pretty cheaply. This same problem happens when you are getting great results with and audience on $10 a day. Then you bump your budget to $50 a day and the whole campaign falls apart. You are running out of the low hanging fruit that Facebook can easily find for you. By keeping your audience around 500,000 – 1,000,000 people you give Facebook enough room to find people who click on sites, sign up for offers, and buy things. It also gives you room to add more money to your campaign once you see it working. TIP: When you increase your daily spend on a campaign do it slowly. You want to give Facebook time to react to the change. Plus you want to see how quickly you start moving away from the easy converters to other people. You will notice your cost per click or cost per conversion increasing. This is what is happening. As you can see just getting the right Facebook advertising audience size is just the beginning. You need to know how to scale it and what to do if you just can’t get enough people to get your audience size big enough. 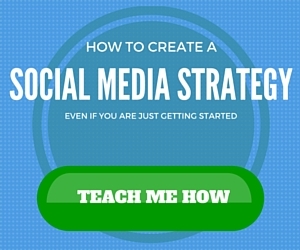 If you want more tips like this check out my simple social media marketing strategy. Thank you! Yes, it’s a sweet spot. Did all the laser targeting,…this works better. Let Facebook do the heavy lifting with their algorithms. Too much noise out there. Thanks for this, have a great day.